Over 300 years of history exist in this magical city. 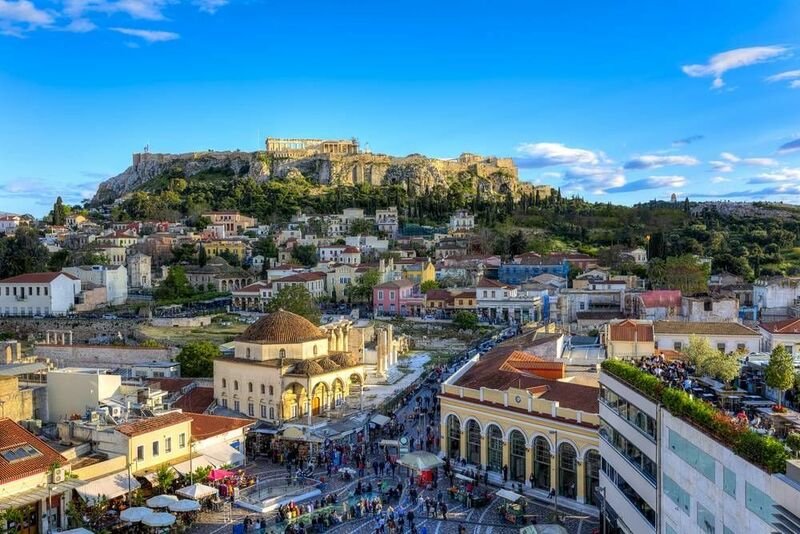 Mythological, ancient, and profound, Athens has a certain flair that is hard to match. One of the most spectacular sights in Athens is the Acropolis Partheon, a former temple constructed in 447 BC that was dedicated to the goddess Athena. The temple is located in Acropolis, an ancient citadel, and the crowning jewel of Greece. You will find ancient theatres and ruins all throughout Athens. Some of the most magnificent ones include Herodes Atticus Theatre and Theatre of Dionysos. One of the most impressive things about these structures is that this is where theatre started since these are some of the most ancient theatres in the world. Walking tours are a perfect way to see Athens and its attractions it all in a short amount of time. Check out some of the free walking tours that are available throughout the year, and enjoy everything that Athens has to offer free of charge! The English-speaking tour guides will divulge every secret and myth about Athens that you didn’t know existed. For 2 hours, hit up the main sights like Psiri, Sintagma, and Monastriaki. Their free walking tour takes you to the hidden gems in the city that are mostly inaccessible by bus or car. Tour times are always changing, so follow the instructions on their website to book your tour. This is one of the most popular free walking tours in Athens. Their enthusiastic and knowledgeable local guides take you to the best spots in Athens and share some of their stories. The tour runs for about 2.5 hours. Hit the top sights in Athens including Acropolis, Erechtheion, and the Herodes Atticus Theatre. The tours run daily and can be accommodated to any group size. You can reserve a seat to guarantee a spot in the tour of your choice. Tours 2 Greece have a handy website created by an Athens local. They've designed four different walking tours that hit various attractions throughout Athens. They give you tips on what routes to take, where to stop, and how to get around. This is a handy tool for anyone that wants to design their own tour! Are you from Athens and want to be a tour guide? Please get in touch by submitting your details on this page!